These exercises are taken from various parts of this guide and consolidated here for your convenience. Perhaps you skipped to this page or came first to this page through a link from another site, and you want to skip all the explanation and try the exercises. Not a good idea. The subtleties of this method are important, and you’re going be frustrated if you try the below exercises without reading the more complete explanations from the pages they came from. For the best results, combine a couple exercises at once. All of the exercises are meant as practice to change your habits towards how a person with normal, clear vision uses their eyes, and there are several aspects to how they do it, so combining them, or doing them alternately, will actually help you make sense of what each one really means. For example, if you breathe and blink and imagine your eyes relaxing, doing so may make you feel more “in your eyes” and distract you from what should be a mental task of imagining sharper details in what you’re looking at. But if you continue to alternate them, you will eventually find that they are synergistic if you do them the right way, and that there is no reason you can’t relax your eyes while being mentally attentive. Progressive Muscle Relaxation involves going through all your muscle groups, tensing and relaxing them each in turn, to create awareness of tension that you’re holding. Modified Progressive Muscle Relaxation: I prefer a mental method of progressive relaxation that I use to prepare for meditation. Lie down, close your eyes, and take some full breaths, not as deep as you can but a little deeper than normal. Mentally go through your body and imagine each muscle group relaxing. Do several muscles on your face, including your cheeks, forehead, eyelids, eyes, and throat, and then the rest of your body, in any order you want. It’s such a simple thing, but it’s effective and only takes a minute or two. Breathing. Whenever you catch yourself breathing too shallowly, take a moment to restart better breathing. Focus on your breath to become calmer when you feel anxious or stressed. Blinking. Practice soft, effortless blinks. They don’t have to be slow, and you don’t even have to close your eyes all the way, so there’s no need to smash your eyelids together. Meditation. Try a few approaches until you find what works for you. Palming: As described further above, palm for brief or long periods of time. I suggest shorter periods, or you may avoid doing it. Flashing: Sit in front of the eye chart. Alternate palming for a moment and opening your eyes briefly, making no attempt to focus your eyes. Don’t even make an effort to look at the eye chart or any particular letter. Just see what you see, keep your eyes open only for an instant, them close and cover them again. Massage: Trigger point therapy, massage and foam rolling can help relax tense muscles. You can massage around your eyes, but don’t massage your eyes directly. Catch Yourself – Reject your limiting beliefs about your vision. Consistently affirm that your vision is excellent. 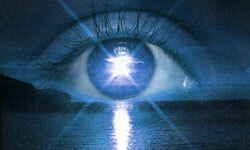 Feel Your Good Vision – Imagine how it would be if right now you could see clearly, and how you would feel. Expect Good Vision – Go all-in on the belief that your vision is excellent, to the point where it’s a surprise when you can’t see something. Make-Believe You Already Have Good Vision – Carry on as though you can already see. Do what you would do, assuming it’s safe, if you were to see clearly right now. Creative Visualization: Close your eyes and spend some time visualizing, as best you can, something appealing to you. An object, a whole scene, anything that keeps your interest. Imagine what the details would be. Closed Eyes Targeted Visualization: When you are looking to make out details, close your eyes for a moment and imagine the scene before you and a possible detail you were looking for, then open your eyes again and look. Open Eyes Targeted Visualization: Like the above, but instead of closing your eyes to imagine details, see if you can do it with your eyes open, without being too distracted by what you actually see. It’s exactly like a children’s game of make-believe. Long Swing: – Spend a few minutes at it, doing 100 or so. Shifting – Pay attention to one detail or set of details at a time, moving as quickly as you are comfortably able.